Searching for Alexandria homes for sale? This article lets you view all real estate listings for sale in this historic Northern Virginia city, and it also provides you with great information about this community. View Closed Sales of Alexandria Homes from the Past Month! Located around 10 miles from Washington, DC, Alexandria, VA is a vibrant and historical city that has plenty to offer potential home buyers. In addition to a location that is convenient for commuters, the city offers endless shopping, dining, and entertainment options. However, one of the best aspects of of this area is the large selection of Alexandria homes on the market. In fact, the hardest part of your home search likely will be narrowing down all the great options. There are a lot of great Alexandria homes to choose from. Whether you are looking for a recently constructed single family home that provides a lot of space for you and yours to spread out, such as those on the market in Braddock Heights, or prefer a cozy condo with endless amenities, you can find it in the Alexandria real estate market. At the same time, you can rest assured that there are homes on the market that fit every budget, including multi-million dollar estates, as well as single-family homes and townhomes priced much lower. You can even find studio and 1-bedroom condos for less than $200,000. There are plenty of detached homes to choose from in Alexandria, including historic homes in Old Town, where some properties were built as early as the 18th and 19th century. Offering 1,000 sq. ft. or more of living space and private outdoor space, most of these homes have been renovated, yet maintain their original charm. Del Ray is another community with an array of single-family Alexandria homes to choose from. Home to Victorian and Colonial style homes built in the early 20th century, the neighborhood is also in the midst of new construction, giving you the opportunity to customize your home based on your own preferences. If you are interested Alexandria homes that provide easy access to public transportation, Rosemont is a great option. Here, homes range from smaller bungalows that are ideal for people who need less space to large Craftsman-style homes with yards featuring mature trees, gorgeous landscaping, and even the occasional pool. There are even new homes being constructed in this conveniently located neighborhood, which potentially gives you the opportunity to customize the home to your specific tastes. If you are a fan of Alexandria homes with mid-century modern architecture, which is characterized by an open floor plan and floor-to-ceiling windows that allow a home’s interior to seamlessly blend with nature, Hollin Hills is a great neighborhood to consider. Alexandria homes here contain anywhere from 2 to 4 bedrooms and range in size from 1,084 sq. ft. to more than 3,000 sq. ft. As an added bonus, many of the homes in Hollin Hills are situated on almost a ½-acre of land, providing plenty of opportunities for outdoor fun. While there are plenty of single-family homes in the area that are move-in ready, there are also properties in need of renovations and updates, which are perfect if you want to put your own mark on your new home. The Penn Daw neighborhood currently has homes available that have great bones, but could definitely use a few cosmetic changes. Alexandria, Virginia is a beautiful and vibrant city entrenched in historical charm. Founded in 1749, you can almost hear the whispers of times past as you walk along its brick-lined streets and touch the walls of its 18th century architecture. Every neighborhood in Alexandria is unique and filled with energy and excitement. One of the most attractive is Old Town. Old Town was established in 1946 as the third historic district designated in the United States for the preservation and protection of its downtown area. It had the first European settlement, established in 1695, in what was then called the English Colony of Virginia. Museums like the Stabler-Leadbeater Apothecary Museum and the Alexandria Archaeology Museum allow you to step right into Alexandria’s history and take a peek at the past. If you prefer the advantages of living in a townhome, such as enjoying the use of outdoor space without worrying about the upkeep, one of the many townhome communities in Alexandria is sure to be the perfect answer. If you are on a budget, the townhome-style condos in Mayflower Square, ParkFairfax, and Parkside at Alexandria offer a great place to start your search. These Alexandria homes, built between the 1940s and 1960s offer anywhere from around 700 sq. ft. to more than 1,000 sq. ft. In addition to many of the townhomes in each community having undergone updates and renovations, they all offer plenty of high-quality amenities, including swimming pools, tennis courts, and common outdoor space. If your budget is a bit more flexible, you have even more townhomes to choose from. For example, Skyview Park has 2- and 3-story units available in several floorplan options. These spacious townhomes include an attached garage, large balconies, and tons of living space. As an added bonus, the community offers outstanding amenities, including routine bus service to the Huntington Metro Station. Island Creek is another townhome community that has units available with as much as 2,200 sq. ft. of living space, huge balconies overlooking the gated backyard space, and of course, all the amenities you could possibly want. In Alexandria, you can also find brand new townhome communities, such as Cameron Park, a modern townhouse and single-family home development that is currently under construction in the West End. Alexandria homes in the community usually include between 2 and 5 bedrooms, making them a great size for a variety of home buyers. Home to some of the best shopping, art galleries, acclaimed museums, and fine dining, Old Town exudes a true blend of old world charm and cosmopolitan flare. Sitting on the majestic Potomac River waterfront, Old Town is the dining mecca of Washington, DC’s social elite. Establishments that served America’s 1st President, George Washington, and others such as Thomas Jefferson, John Adams, and James Madison, are still in existence and thriving today. Gadsby’s Tavern is one of those places. It originated in 1785 and was the center around politics, business and the social life of Alexandria. 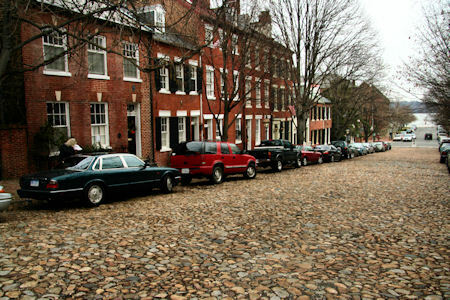 Old Town sits on the eastern and southeastern area of Alexandria along the Potomac River. It's the oldest section of the city. You can easily navigate around Alexandria on the free King Street Trolley, by bike, boat or on foot. You can also access DC from the Metrorail on King Street in 17 minutes or take a 45 minute boat cruise to Georgetown. Alexandria homes give you the best of both worlds. You can rub elbows with the movers and shakers in DC, then cross the river to relax at home in quaint Old Town. Condos in Alexandria vary from cozy studios to multi-million dollar condos with more than 2,000 sq. ft. and stunning views of the Potomac River, such as those at The Oronoco in Old Town. Whether you are looking for a brand new condo or prefer one with a unique history, Alexandria is sure to have the condo you are looking for. There are opportunities for potential buyers interested in buying land and building custom Alexandria homes with the help of some of the excellent builders and/or architects in the area. Most plots of land range in size from 1/4th to an 1/2-acre of land. Occasionally, you may even be able to find land for sale sitting along the banks of the Potomac River. This listing is a great example, but you’ll need to act fast before someone else snaps it up. Alexandria is truly a great place to call home. Whether you are a first time buyer looking for Alexandria homes, or have purchased and sold so many homes that you have lost count, you'll find something here that you're looking for. Schedule a Viewing for Alexandria Homes! If you’re in the market for real estate in Alexandria, give me call at 703-462-0700 so I can help you find the right property. I grew up in Northern Virginia and know the area well. 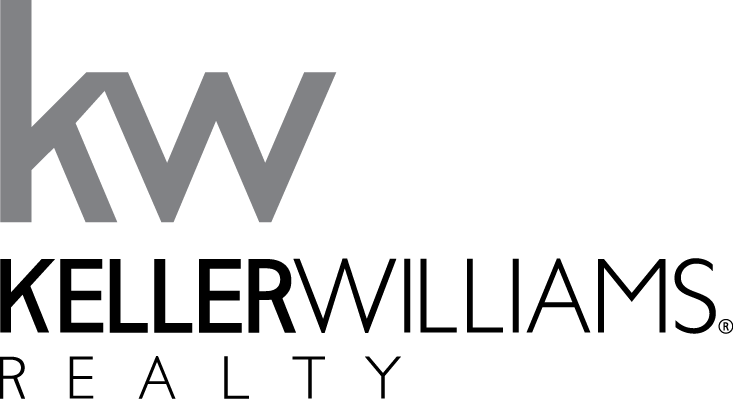 If you own an Alexandria home and are considering selling in the next 12 months, contact me for a market analysis of your property and surrounding neighborhood. This will give you a good idea of its current market value.